Where does AI stand today? The AI market is more heated than ever. We attended WSAI last year and had some amazing conversations with different stakeholders, but this year, we expect to see some more serious and highly competitive AI products, companies and people. A lot has changed in AI over the course of one year. Looking to the education industry, we’ve already seen how blockchain is changing the way universities encrypt student grades and accreditation, or how China is using AI to detect student engagement and how smart content recommendations helps Netflix save roughly 1 billion each year in subscription fees! Who is coming to WSAI? Some attendees and sponsors of the event include Google, Apple, GoDataDriven, Artificial Solutions, ThoughtWorks, ING, Accenture, Daimler AG and more. Also, the full speakers' list can be found here. How does EDIA play a role in the event? Representing the best of the edtech industry, we’re excited to present 360AI at the WSAI. We can’t wait to share why we believe 360AI is a real game-changer for education. Come visit us at booth Pod S8. Want to learn more about AI in Education? 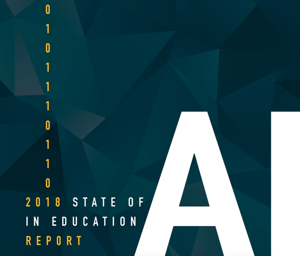 If you’re interested in learning more about the state of AI in Education right now, check out our report below.